One Great Contest After Another! When it comes to great promotions, FPN delivers. Two major promotions per year with well over $100,000 in cash and prizes awarded annually. In all, FPN has put well over 100 players in World Series bracelet events, and given away seat in major tournaments in the World Poker Tour, Heartland Poker Tour, World Series of Poker, and others. 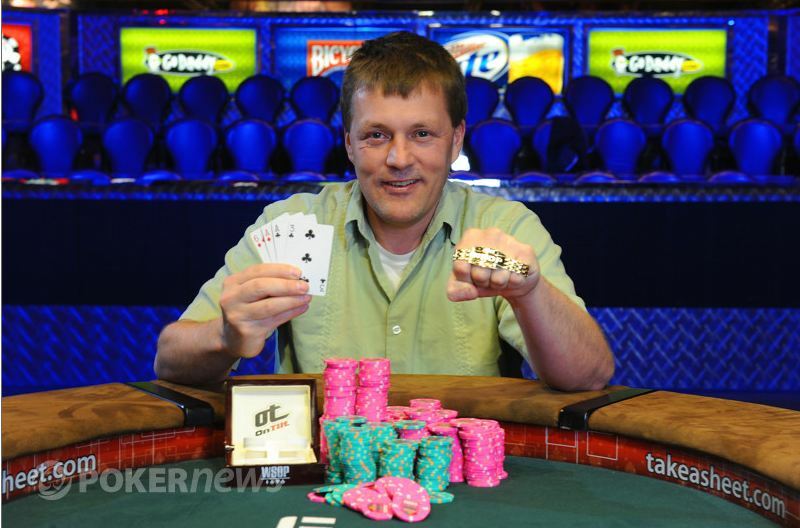 The last promotion "Cash King" awarded $25,000 cash first place prize to Bob Tweten from Grand Forks, ND. The current promotion "Main Event Mania" will give away three (3) $10,000 Main Event seats. Will YOU be the next big winner?! If no participating location is near you, you can play in our online VIP monthly tournament. 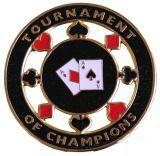 Each monthly winner receives a travel voucher and seat in the exclusive National Championship tournament. Grind out LEAGUE CHAMP status or take down your bar's TOURNAMENT OF CHAMPIONS and you AUTOMATICALLY qualify for the National Championship Series event. Besides bragging rights, you will also receive a medallion (pictured below) and skip the regional playoff (larger regions) to go straight to the state championship tournament. All weekly tournament winners receive a "Scratch Poker" card for a chance to win CASH INSTANTLY and qualify for the National Championship event! Each card has 52 randomly covered "cards". Scratch 7 spots to make a poker hand. If you make 4-of-a-kind or better you INSTANTLY qualify for the final tournament. 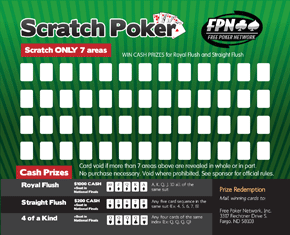 Scratch a Royal Flush and win an additional $1,000 CASH!